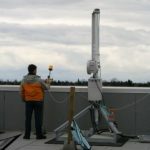 Concerned About Your Cell Site? - Antenna Management Corp. Concerned About Your Cell Site? Landlords can be concerned about cell sites. The time to review is on renewal or new lease. As an owner or property manager the option to lease out to several different providers on your rooftop is a viable and strategic revenue generating opportunity. Establishing multiple cell antenna contracts with the different providers: Telus, Rogers(Fido), Bell, Freedom, Eastlink and others with the option of repeated renewals is the best way to guarantee future revenue without having to renegotiate the cell antenna rates. Often the hardest part of the process is trying to figure out the rate for which to charge the providers for using your rooftop. In many contracts there is a confidentiality agreement that does not allow one owner or property manager from discussing the rate they got with another. This allows the providers to keep all the information for themselves and minimize the amount of money they have to pay out giving them a huge advantage. Basically, fair market value does not exist because they do not want you to find out how much everyone else is making and base your rate off that. In addition it is critical to know where you stand in terms of liabilities regarding permits and certain applicable safety codes to avoid being sued and possibly losing your property. Telus usually has Statutory Right of Way which is a clause that the providers put in their contract which gives them control of your entire rooftop negating the ability to have multiple providers, limiting your revenue. It can also limit your ability to sell, subdivide, lease and finance your property. If your lease has a SROW and starts with a Land Title Form – beware. Avoid whenever possible. Antenna Management Corp. works to insure the property owner’s interest are protected by obtaining and maintaining all needed permits and safety reports. Other issues that one should be concerned with include access and noise. The standard rooftop contract designed by the providers usually requires that the carrier be allowed 24/7 access, however this is not what we recommend. Allowing the providers 24/7 access gives them all the control and ability to change or add more equipment not specified in the contract. We had a case where a client signed an original contract with Rogers for six antennas and after a few years went back up there and found 18! And they were still only making revenue off the first six which was agreed to in the original contract, losing out on thousands of dollars. Unfortunately, Bell, Shaw, Public Mobile, Mobilicity (DAVE), and Globalive (Wind) Also, tenants in a residential building or condominium may not appreciate having a cell site technician coming through the building at all hours. Building owners may request in the contract that certain limitations be placed on the type of access so tenants are minimally impacted. There are many exciting opportunities for property owners with or looking to gain cell sites. Contact Antenna Management to find out your options. Contact us before you let the cell providers on your site for 20+ years. This entry was posted in Cell Antenna Lease Rates, Cell Site Lease Problems. Bookmark the permalink.